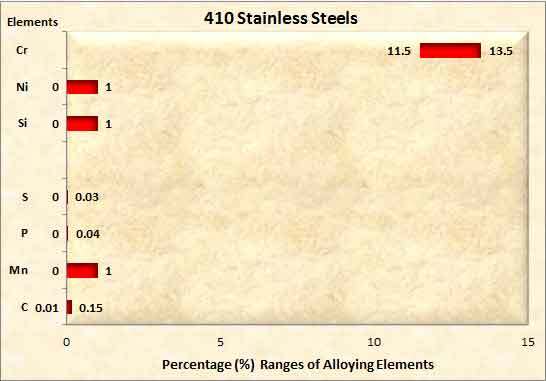 What is 410 Stainless Steels? 410 is the primary martensitic stainless which reflects great mechanical properties after heat treatment. This type of steel has great impact strength, corrosion and scaling resistance. Dimensional Characteristics of 410 Stainless Steels: The applicable thickness in millimeters for this 410 Stainless Steels ranges from 0.25 to 4 whereas the width in millimeters is from 600 to 1200. Moreover outer diameter of pipe in inches ranges from 0.5 to 8. In the case of rod the diameter in inches is from 1 to 8. Crux: This material specification is best for hardening, however it is also good for machining in soft annealed conditions. Heat treatment plays a vital role in its mechanical properties. Hardness in HRC as specified in the standard is from 24 to 43. Tensile strength is not defined in the standard. Yield strength is not defined in the standard. Elongation is not defined in the standard. In JIS standard, the equivalent material is referred as 410 type steel. 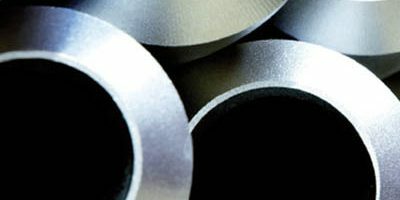 In DIN standard, the equivalent material is referred as 1.4006 type steel. In ISO standard, the equivalent material is referred as 410 type steel.